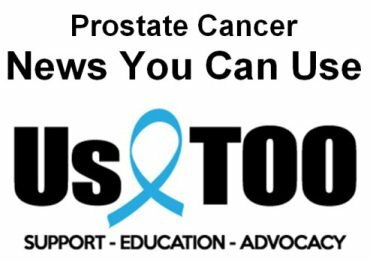 We’re pleased to provide you with some of the latest Prostate Cancer News You Can Use . Titles of the articles are listed below followed by a link to the Us TOO web page that provides access to the full text. We encourage you to visit the new Us TOO web page for information on recognizing and managing Anxiety, Depression and Prostate Cancer . Read a related article from Us TOO in Prostatepedia magazine along with more about anxiety, depression and stress in the Prostatepedia February issue . ﻿Please note that the content below lists only the title of the article rather than a direct link to the content. For access to the full article CLICK HERE. Keep an eye open for the March 2018 issue of the Us TOO Hot SHEET newsletter at the end of the month. Take care, stay warm and let us know how we can help you with educational resources, support services and personal connections to others in the prostate cancer community.